Get on Board Day is a new national advocacy day that is all about generating awareness of and increasing support for public transportation. 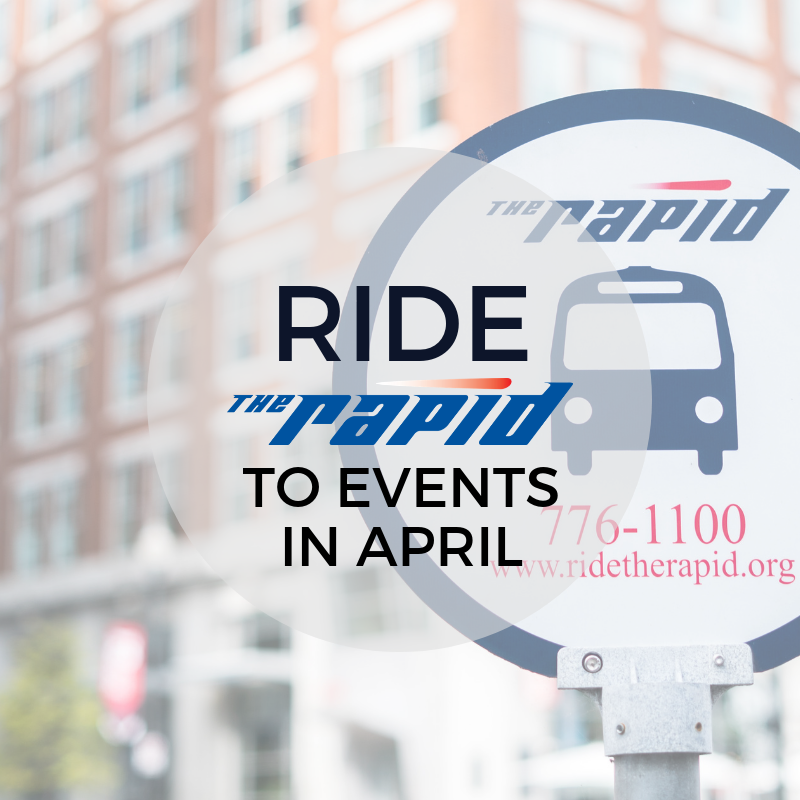 The Rapid is partnering with organizations to have bus pop-ups throughout the Greater Grand Rapids area. The goal is to spread bus love and teach individuals of all ages and abilities on how to ride the bus! 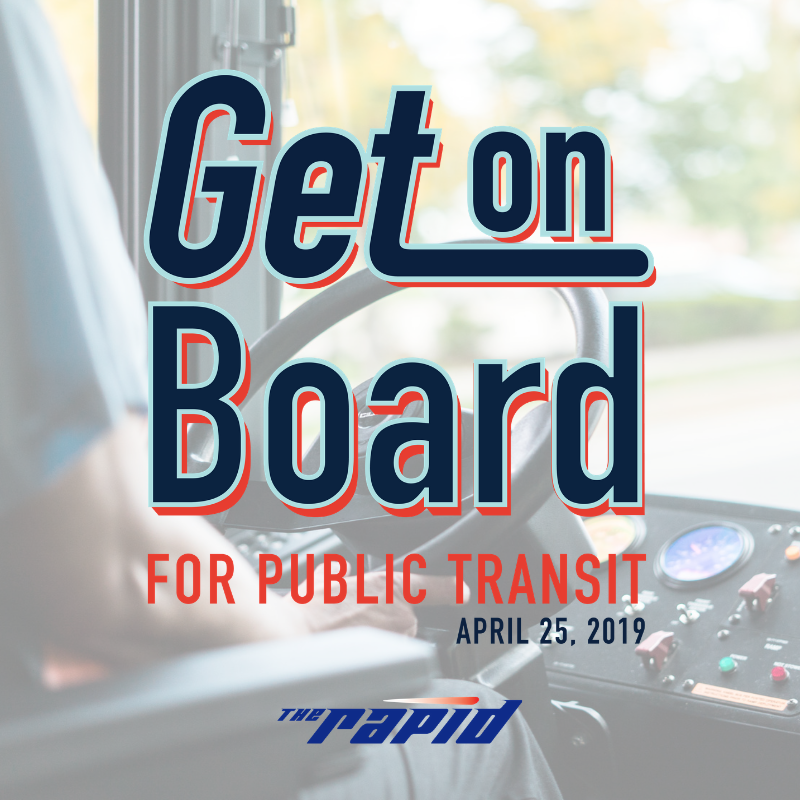 On April 25, 2019, we will be visiting locations throughout our six-city service area to quickly teach individuals how to ride the bus! Visit us at the following locations for a quick training on how to ride the bus like a pro, a chance to win prizes, and a free, pre-loaded Wave card. Mark your calendars! We’ll see you on board. Spring has sprung! Use the change in seasons as the perfect excuse to explore the Greater Grand Rapids area. There’s no shortage of family fun to embark on. Relax and let Yoga at The GRAM melt your winter blues away. On select Thursday evenings, enjoy a Vinyasa-style yoga class thanks to the generous support for Priority Health. These classes are donation-based. The next class will take place on April 18th. Don’t miss the Grand Rapids Symphony performance of Mahler’s Symphony No. 3 at the DeVos Performance Hall. Get tickets to the April 12 or April 13 performance. This concert will feature the Grammy Award-winning mezzo-soprano Michelle DeYoung as the featured vocalist. Get your tickets here. Hungry? Grab your friends and head over to the Downtown Market for Meaty Monday on April 29. This event will have meat-inspired specials from 10 a.m. to 7 p.m. You won’t want to miss it. On Saturday, April 13, you can fly into the John Ball Zoo dressed as your favorite superhero! All activities are included with your admission. Have you ever wanted to meet a real mermaid? Now is your chance! Woodland Mall is celebrating Easter early with giveaways, unicorns, the Easter bunny, and a real mermaid. On Saturday, April 13, you can bring the whole family to the event from 11 a.m. – 1 p.m.
Do you remember this childhood classic? On Friday, April 26, you can see it live at the Civic Theatre. Tickets are on sale now for the last week of April. Plan your trip at ridetherapid.org. National Transit Driver Appreciation Day is Monday, March 18, 2019. We’re taking this day of appreciation to the next level by encouraging the celebration of the entire transit team powering The Rapid. 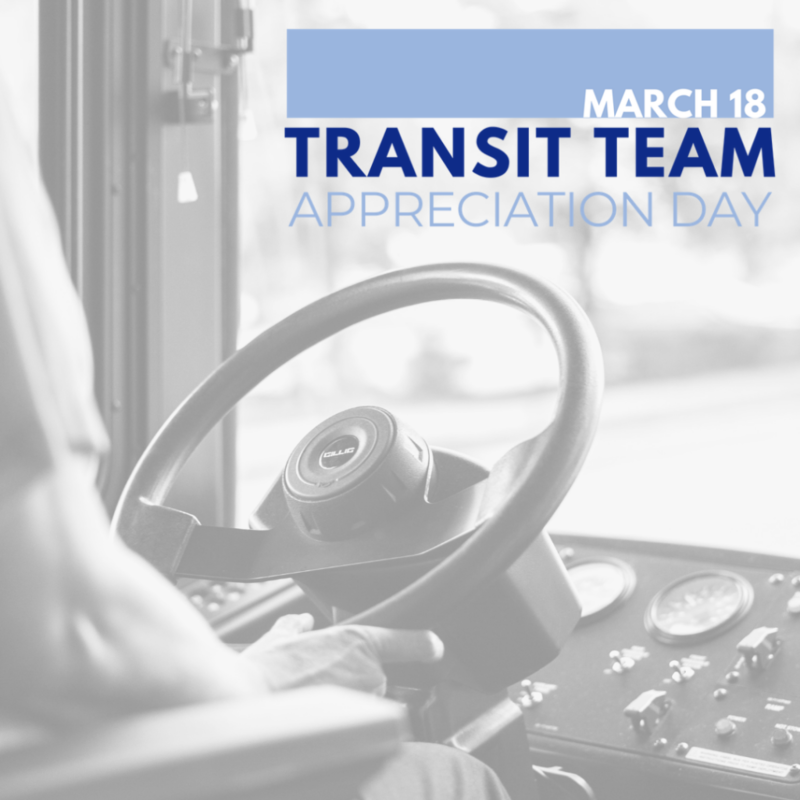 We’re calling it Transit Team Appreciation Day. While Bus Operators may be the hands on the wheel ensuring your bus makes it safely to your destination, there are Technicians keeping the bus running smoothly, Dispatchers guiding your Bus Operator and a team of administrative employees ensuring The Rapid continues to roll each day. 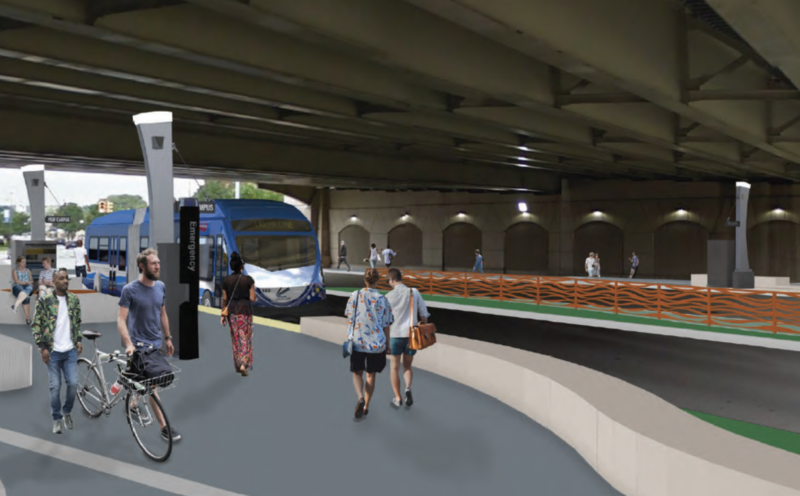 As a whole, The Rapid’s transit team keeps the Greater Grand Rapids community accessible for all. Beginning on Monday, March 18, we’re asking you to post why you’re thankful for your bus driver or share a positive story about your favorite driver with #BDADGR on Facebook, Twitter or Instagram. Those who post will be entered into a drawing to win a 31-Pass and Biggby prize package. If the post is made on your own page, the post must be public to be counted in the pass drawing. Please post your gratitude by 12 a.m. on March 19 to be entered to win. While simply saying thank you can brighten anyone’s day, you might consider doing something extra special for your Rapid bus driver. If you’re looking for something more personal, considering signing and printing the Transit Driver Appreciation Day cards to pass out to your favorite bus driver or drivers. Bus Driver Appreciation Day cards will also be available to pick up at Rapid Central Station’s Information Center beginning on Friday, March 15. Commend your favorite bus operator or transit team member by submitting a General Comment here or through our information line at 616-776-1100. This will be passed along and recognition will be given! 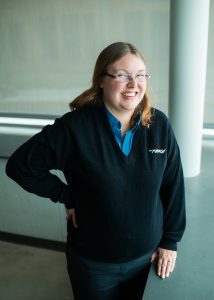 In honor of Women’s History Month, we’re celebrating the hardworking, dedicated women who keep the Greater Grand Rapids community moving through a portrait series. These women are the friendly smile when boarding the bus, the voice on the radio helping to navigate an emergency detour, and the hands on the wheel. 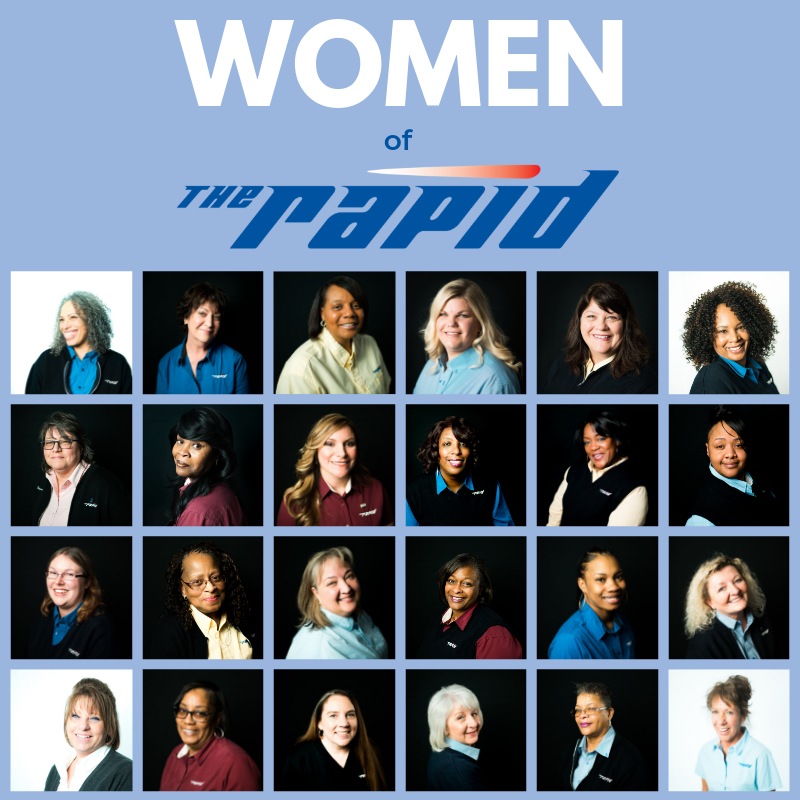 The Rapid’s Transportation team is made up of women serving as Bus Operators, Dispatchers, and Transportation Supervisors. But these women are more than just their job titles. They are assets to our community as mothers, sisters, aunts, grandmothers, daughters, small business owners, volunteers, and so much more. Women’s History Month is the annual declared month highlighting the contribution of women to events in history. In the United States, the history of this month can be traced back to the first International Women’s Day in 1911. 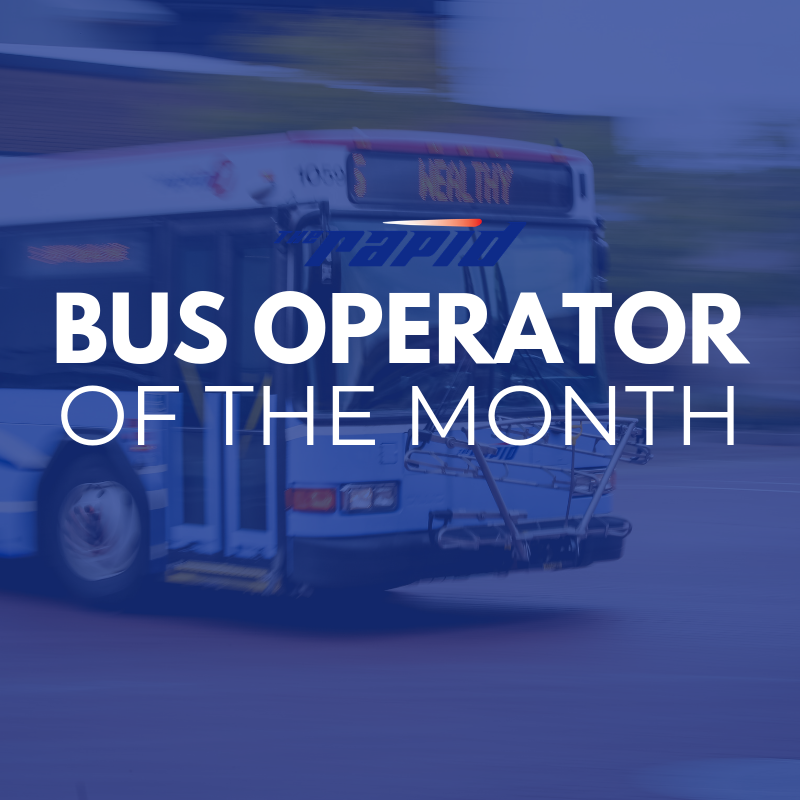 Each month, we honor a Rapid Bus Operator for going above and beyond in their work. The winners are nominated by their peers and awarded by the Transportation Department for their hard work and dedication. HOW LONG HAVE YOU WORKED AT THE RAPID? 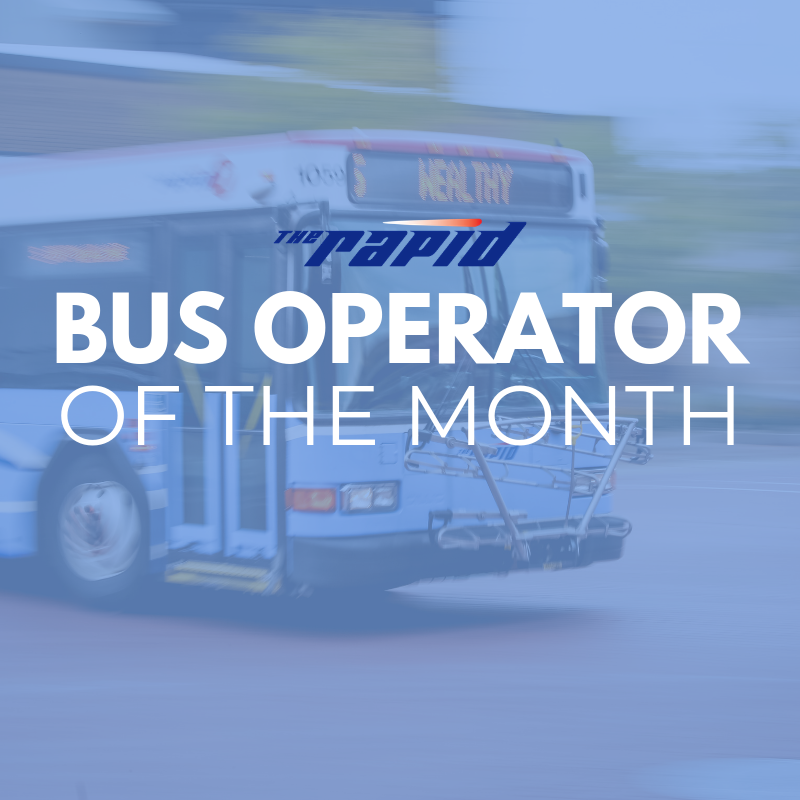 WHAT DO YOU LIKE BEST ABOUT YOUR JOB AS A BUS OPERATOR AT THE RAPID? I enjoy the constant movement of being out around the city. I enjoy meeting new people every day. I’m passionate about my family. My husband and I have eight children together. As a family, we enjoy camping, traveling and experiencing new adventures together. Keep up the good work, Kendra! Spring is just around the corner. Spend your last few days of winter enjoying these events in and around Grand Rapids. Whether you’re looking for home improvement ideas, or just a weekend out of the house the Home & Garden Show will have something for you. Held at the Devos Place from Feb. 28 – March 3, this show features garden demos and exhibitions of all kinds. Adult admission is $10 online and $12 at the door. Multi-day tickets can be purchased for $18 online. Are you ready for a rush of adrenaline and family fun? Head to Van Andel Arena for an evening of Monster Trucks with Monster Jam: Triple Threat Series. Tickets are available for March 22 – March 24. Head to the DeltaPlex for a night of basketball with your Grand Rapids Drive players. There are games throughout March, so don’t miss any of the action. Tickets range in price from $5 to $75. Michigan’s largest St. Patrick’s Day street party is back for its ninth year! Celebrate St. Patrick’s Day on March 16 for Irish on Ionia. Beer, live music and traditional Irish fare are just a few of the main attractions. Tickets range in price from $20-65. Your favorite pirate crew comes alive on screen with the sounds of the Grand Rapids Symphony. Bring your family and friends to this evening of swashbuckling fun at DeVos Performance Hall from March 8 – 10. Tickets are $18 for adults and $5 for students. 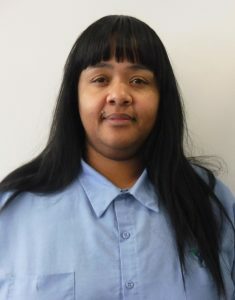 Each month, we have the opportunity of honoring a Rapid Bus Operator who has gone above and beyond in their job to keep the community moving. These bus operators are nominated by their peers and awarded by the Transportation Department for their hard work and dedication. March will mark my two years at The Rapid. I like meeting new people and making sure they get to their destination safely and in a timely manner. I enjoy shopping, traveling, cooking and spending time with my friends and family. I really love watching the Lifetime Movie Network! Congratulations, LaCheree! Thank you for all you do. Our recent winter weather events have left us feeling especially proud of Grand Rapids, the city we call home. Watching the community step up to care for those in need is something we’d be remiss not to echo our appreciation for. Last Friday more than 100,000 Kent County residents were without power. 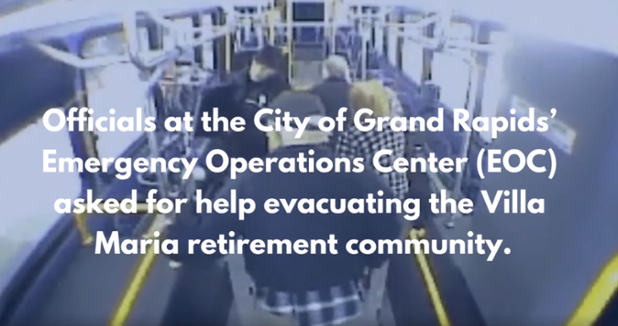 Officials at the City of Grand Rapids’ Emergency Operations Center (EOC) asked for help evacuating the Villa Maria retirement community. The Rapid’s Bus Operators answered the call with warm buses and warm hearts. The seniors were taken to a Red Cross shelter at GRPS’ Union High School where they’d be able to access warmth and food. Fifty to one hundred seniors ultimately made the trip on four of The Rapid’s buses, assisted by family, community members, GRPD, and others. Thank you to our community’s tireless first responders for caring for those in need. Got a case of the winter blues? We’ve got you covered. Hop on board for a ride to the second annual World of Winter Festival in downtown Grand Rapids. This four-day ice extravaganza begins on Feb. 14 and hosts a variety of free and low-cost frozen fun activities and events for all ages. Downtown Grand Rapids will be decorated with more than 50 ice sculptures, too! Don’t worry about driving in cold conditions. 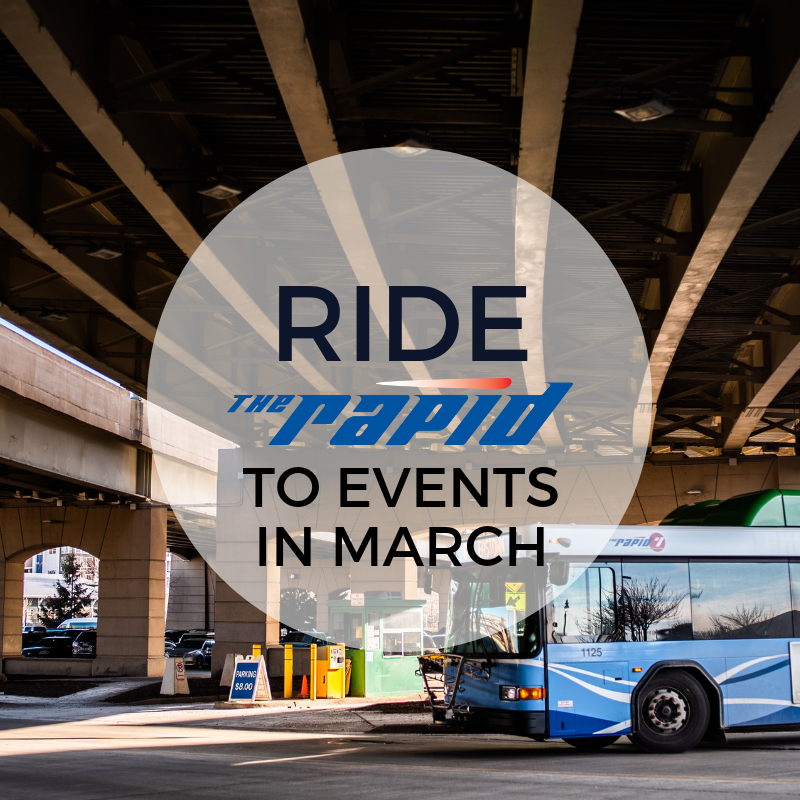 The Rapid offers many fare-free routes to help you get around easily. Spend your lunch hour enjoying free live music, free ice skating, ice games and more. You can also grab a bite from one of the local food trucks. The event begins at 12 p.m. and ends at 1:30 p.m. at Rosa Parks Circle. Looking for a romantic evening activity? 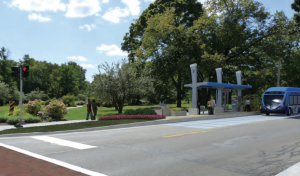 Spend Valentine’s Day outside at Rosa Parks Circle! This event is from 6 – 10 p.m. and includes 2 for 1 ice skating, free professional photographs, free hot chocolate, and more! Enjoy the beauty of nature with snow under your feet! 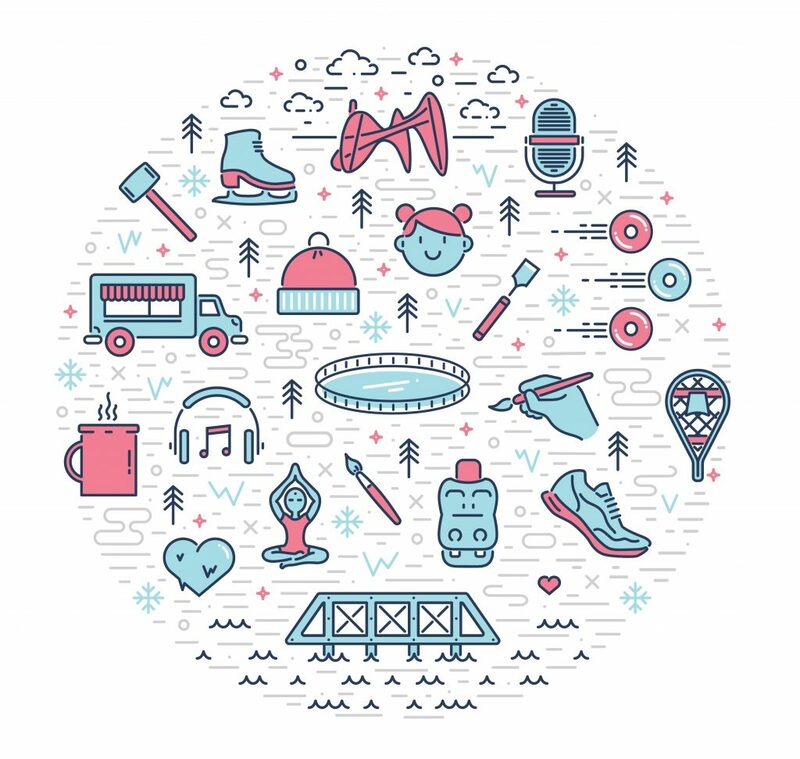 This free event is at Ah-Nab-Awen Park from 6 – 8 p.m. Snowshoes will be provided. Enjoy over 50 ice sculptures around downtown. You can even join one of the walking tours provided by Downtown GR. This futuristic dance party begins at 7 p.m. at 555 Monroe Ave NW. Guests wear wireless headphones and can tune into any of the DJs’ channels. There will also be ice beer pong, food trucks, and a photo booth. This event is only for those 18+. Grand Rapids Running Tours is hosting a free walk through Grand Rapids’ Black History. This community art experience is a great time for all ages. All ages are welcome to grab a brush and help paint the Rosa Parks Circle Ice Rink from 12 – 6 p.m.
Do you remember this fun board game? Watch it come to life on ice! You can register your team here until Feb. 1! This event is from 12:30 – 7:00 pm at Rosa Parks Circle. Looking for more fun activities? Head here for the full list.